Tom Cruise proved his mettle as an actor way back in 1992 when he starred in A Few Good Men. 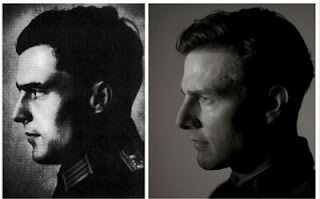 With Valkyrie, he is a pleasure to watch as the headstrong Col Stauffenberg, who just couldn't go against his raging conscience. 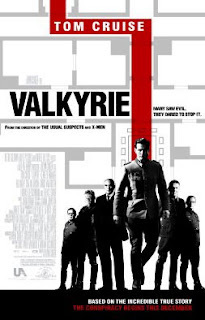 Historians say there were between 17 to 42 failed attempts to kill Hitler, and Valkyrie, which originated in Hitler's own army was the boldest one of all. Attempted on July 20, 1944, Stauffenberg came up with the plan to use Hilter's Reserve Army (Operation Valkyrie) against his own regime. Ambitious though it was, Hitler was lucky and survived the attempt. The movie makes you realize how outraged people were with Hitler even in his own ranks. Tom Cruise and other notable actors play their roles to perfection as the conspirators who will ultimately pay with their lives. Interestingly, as you watch the movie, the director is able to create a suspense so strong, it makes you forget that you actually know the outcome of this story. Hitler was not assassinated. But as you watch Stauffenberg and his men, you wish from your heart that they would succeed. Unfortunately, that doesn't happen and WWII gets bloodier, with Hitler committing suicide only nine months later. I would recommend this movie for any person who is remotely interested in WWII history. The director also spares you any discomfort by not showing any ghastly images from the era, and the filmy is mostly confined to the white corridors of power. For some facts on the Stauffenberg plot, see this link. I saw this movie last month... Loved it totally !